As a year 10 student at Chorlton High School, I am given the opportunity to find work experience placements for two weeks during my final term. After I graduate high school I would like to study Journalism and Law in further education. 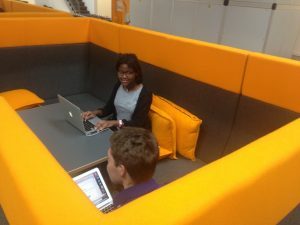 I spoke to my Media Studies teacher about my interests in finding a placement related to blog writing and content creation and she immediately recommended The White Room and introduced me to Andy Lovatt, Managing Director. Once my placement was secured I went straight online to do some research about The White Room and found out about some of the businesses they work with, including, Sharp Futures, ITV, Chill Factor e, and BJL. 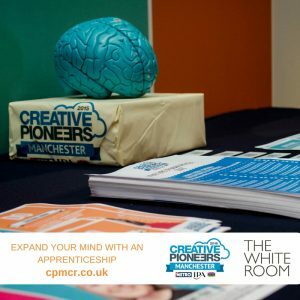 I also researched the programmes The White Room deliver such as Digital Advantage and Creative Pioneers Manchester. 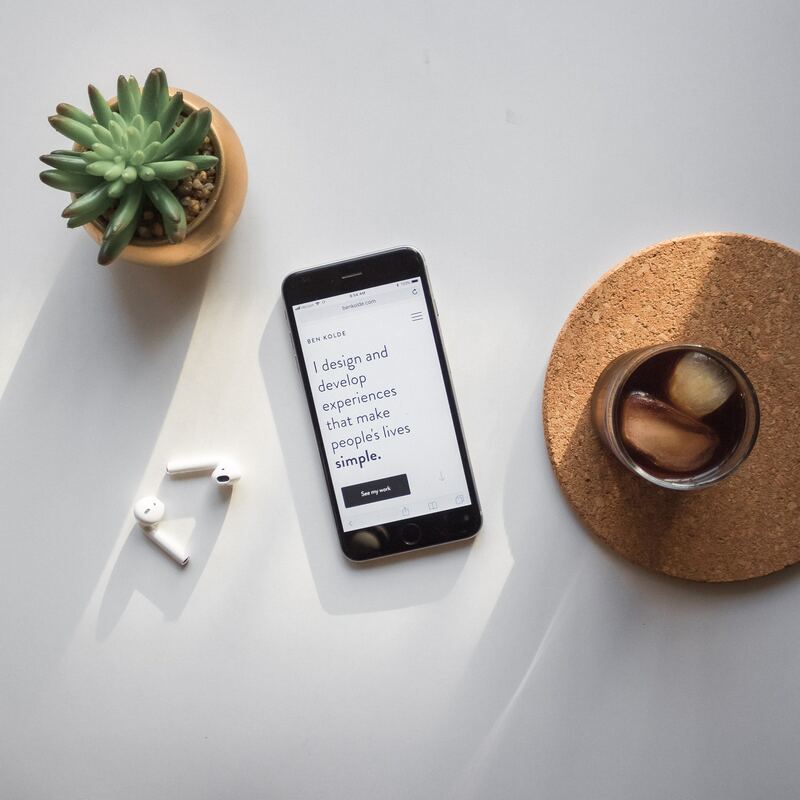 I felt charged with excitement and enthusiasm from the moment I woke up as a hysteria of thousands of questions whizzed wildly around my head; which I was eager for them to be answered by starting my first day of work experience with The White Room. 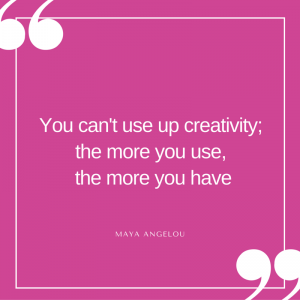 Even though at this time I was expecting to be watching an employee for 2 weeks struggling with an overwhelming workload – I was still optimistic as I knew this experience would be very beneficial; teaching me new skills and what it is like to work in a digital business. I first met the MD of The White Room, Andy Lovatt who happened to live around the corner from me; so we arranged for him to pick me up at 8am a similar time to leaving for school; making my morning feel quite ordinary – Although that all changed when we arrived at The Sharp Project. The Sharp Project is a creative and digital hub for SMEs with a variety of creative and digital b usiness’ including marketing companies, film and TV producers and game developers. 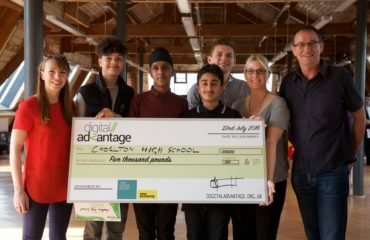 I was then introduced to Richard Bolton the company’s Apprentice Communications Coordinator who would be helping me during my work experience and Katrina Gallagher, CEO of Digitangle. We then discussed the purposes of the company and what it is that they do. They were very friendly and asked about my goals for the future, and what kind of work I would be best suited to within the company during the two weeks of my work experience placement. Katrina asked if I was interested in working in graphic design. At first, I was unsure about the idea, but my first task was to make images for the company’s social media accounts, which meant I was incredibly nervous. I wasn’t expecting this much responsibility on my first day, but of course, once I got started I was very enthusiastic to do lots of valuable work and develop these new skills. Part of my first day involved creating my first piece of work experience content. I followed the company standards using the correct logos and remembering the correct hexadecimal keys for colours matching their theme. I had to create a set of reusable templates and find suitable images with quotes and references to go with them. 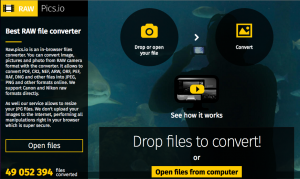 I did this using collaborative programs such as Canva and Asana for business management, and by converting raw image files into standard jpeg image formatting. By the end of the first day, Katrina and Richard were very impressed with the content I had produced. I was also proud of myself as I had managed to establish new abilities and accomplish tasks which I never expected. I was excited to see what else I would achieve during my work experience. 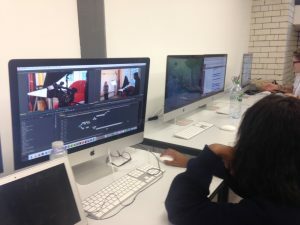 On the second day of my work experience placement, I was invited to help film students who were taking part in a city-wide competition with Digital Advantage which is a digital employability skills programme where students were tasked to set up and develop a digital product or service to win a £5,000 cash prize. I first met Aaron Cummins who was training some of the competitors the digital marketing skills needed to find work in the creative and digital sector. We headed off to New Charter Academy where we met four students from two different teams who were ready to pitch their ideas. The first team to deliver their presentation came up with the idea of a hi-tech water bottle which recorded the intake of water an individual would drink in a day, this concept would then be linked to an app that would notify the user to drink more if they had not reached the daily goal. The second group of students had developed an app for dog walkers to meet with other walkers with safe dogs in their local area. The app is designed to allow the owners dogs to socialise – like a play date app for dogs. During filming, I was asked to manage the second view camera that was a Nikon DSLR to film the teams while presenting their pitch. I had to make sure that both the presenters were visible in the shot at all times by adjusting the zoom before each take. I also had to make sure that the cameras focus was on the students as well as being able to see the presentation on the projector. 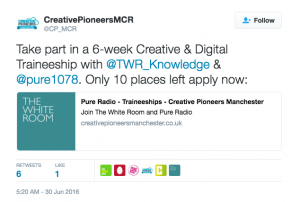 I was asked to write posts on social media to promote a free traineeship The White Room was offering with Pure Radio, this included 6 weeks of professionally tailored Creative and Digital training alongside work experience at Pure Radio. 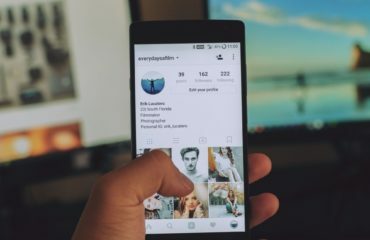 I researched into which relevant hashtags were being most used by social media users and used them to promote the content in the best way possible. In addition to this, I was tasked to search for businesses who would be interested in joining the targeted marketing campaign with Pure Radio, I did this through using search engines such as Google and social media websites. Also, I created job advertising content for Twitter. It was quite challenging as I was required to compile a whole job description in less than 140 characters. Anyhow, I managed to use keywords in the description to turn it into a punchy summary which would catch the eyes of those who would appeal to it the most. 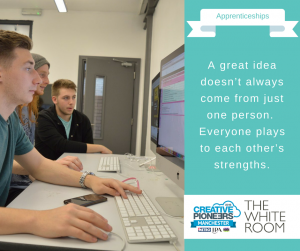 During the day I also got the chance to post the graphic content which I made on my first day of work experience with The White Room onto the Creative Pioneers Instagram page, endorsing apprenticeships for young people. 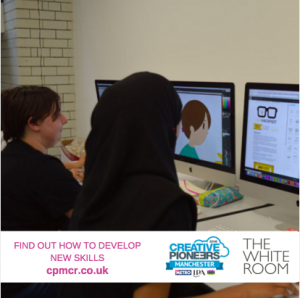 By Friday, the last day of my first week doing work experience with The White Room, I was assigned to do some website development research to improve the Creative Pioneers website. I assessed and compared the rankings of different websites offering apprenticeships on Google. I then analysed and presented my results with points for improvement that have been implemented on the Creative Pioneers Manchester website. Richard showed me how as part of his job role he uses Google’s Analytics and Keyword Planner to monitor user engagement and ensure that the company’s blogs and jobs have good keywords. We assessed the amount of ‘click throughs’ the Creative Pioneers website received per day and the engagement users were having on the site. 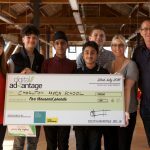 I was then taught about how businesses can use ‘pay per click’ advertising to get their page to the top of the search results. For example, Game is using Google’s PPC service to ensure they have the first ad and organic page rank when users search the keyword ‘game’ because the word ‘game’ is a very contested keyword The White Room would have to pay a high rate to advertise using it. I also learned about ‘pay per view’ advertising which charges the advertiser each time the advert is seen. An example would be youtube advertising or website pop-ups. When I started my first week I was given the opportunity to design the award certificates for the Digital Advantage Programme. 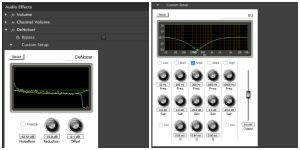 The White Room’s MD had given me a brief and we discussed the best software for me to use for the design. 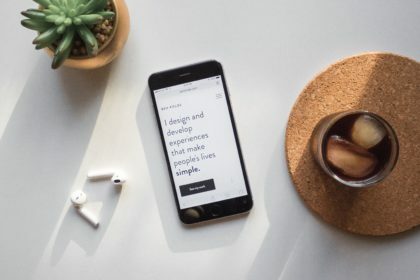 I met the design brief using Canva and submitted them for review, after finishing my first task of the week I added a few finishing touches to my first week’s blog post and uploaded it on to the Digital Advantage website. On Tuesday, Richard and I headed to Manchester Creative Studio, an employer-led school which prepares young people for a career in the creative and digital industries. We decided that I would do a video CV which I could then edit. After determining that the noise levels in the room were too loud, we went outside and found a nice spot next to a picturesque canal to film my CV. 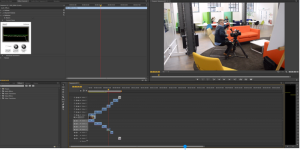 Since we were outside there was a lot of street noise, when I began editing I opened Premiere Pro and used the denoiser audio effect to remove the background noise to ensure my voice was clear. Once I had finished editing my CV I started creating social media posts for the release of my blog. 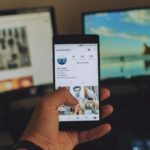 I researched into any popular hashtags related to tech and digital marketing which I could use in my post production. The next day Richard had some video footage of the setting up of different interviews with people in the digital marketing business. This footage needed to be put together into a 2-minute short video to give people a glimpse of what is it like to have a career in camera operating. I trimmed different videos into one sequence and used denoiser and equaliser audio effects to remove background noise. Aaron asked me to help him design a logo for a website he was creating for apprenticeships, he wanted me to think of something which is creative and would appeal to young people. I did some graphic research to help me think of creative ideas and fonts. 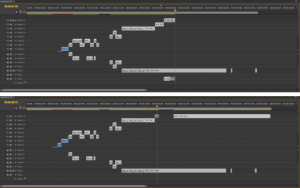 The denoiser audio effect had to be adjusted to each audio in the sequence. Before adding any audio effects onto my sequence I had to ‘lock’ each video attached with audio to ensure the video was not disordered by the effect. I was given the chance to do remote working on Thursday. This included finishing off my blog and scheduling social media posts. I was assisted by Richard through using collaborative techs such as Google docs and Google Hangouts. On my final day, I had the chance to use Google analytics to monitor the development of user engagement on my blog. 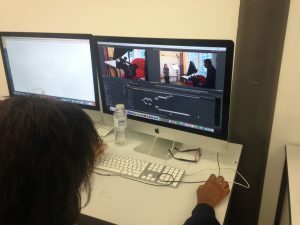 Over the past two weeks, I have developed new personal and professional skills and techniques such as, graphic designing, video editing, creating content for social media, camera operating, writing, direct marketing, research, content marketing, organising and creativity. I would like to say special thanks to Communications Coordinator Richard Bolton for teaching me these skills and almost everything about the digital and creative industry and for helping me throughout the past two weeks. I would also like to say thanks to Katrina Gallagher for getting me started on the first day and Managing Director Andy Lovatt.